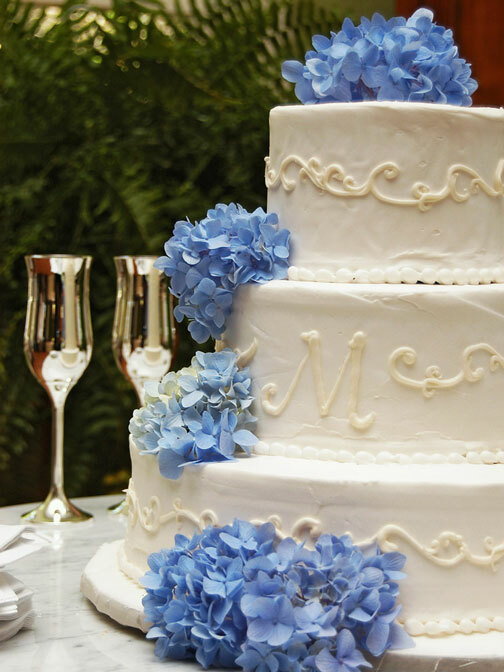 Wedding cakes are special cakes. Apart from the bride and groom, a wedding cake is often the main attraction at a wedding reception. 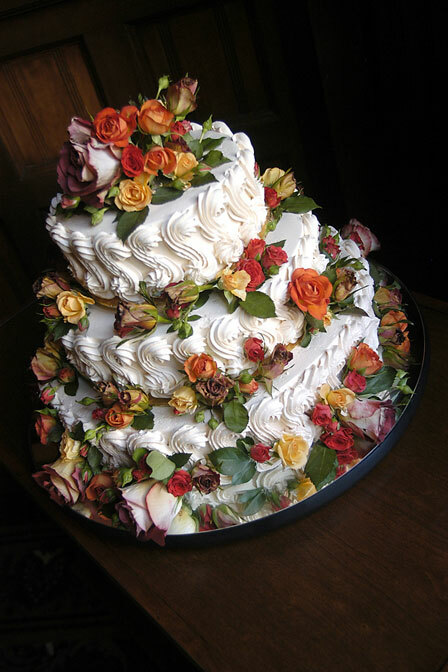 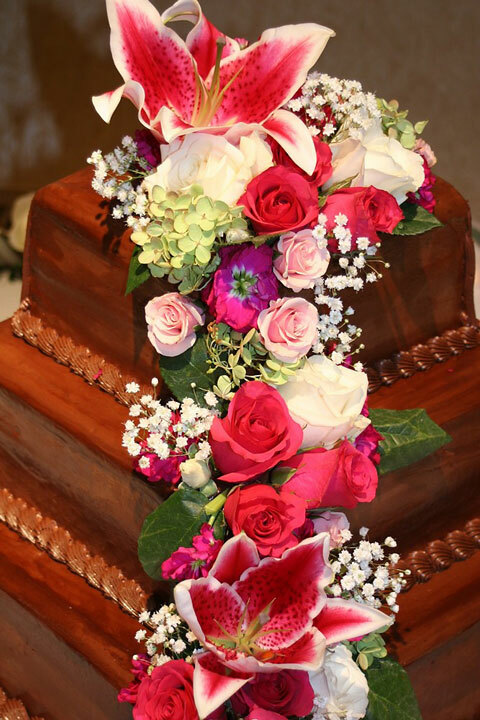 A wedding cake is an expression of the couple's tastes. The cake's theme may be inspired by the bride's gown and flowers, using lace-like trim and flower decorations. 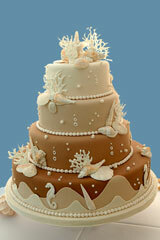 Its design may mimic the reception theme — a garden, a barn, or a seaside location. 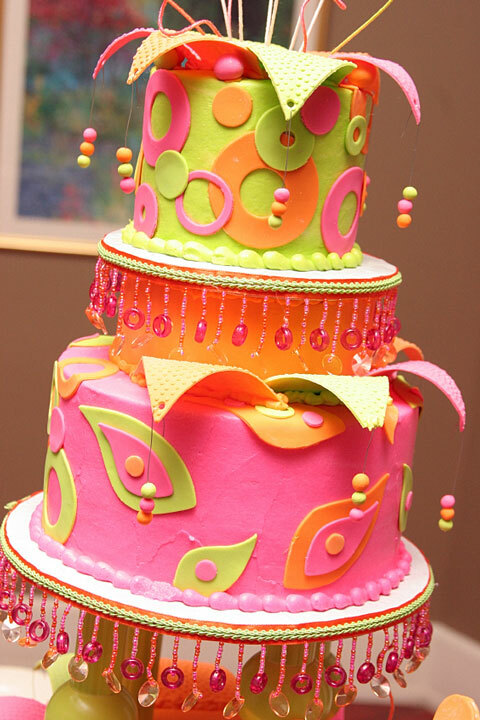 Or, the cake might just be lighthearted and fun, with bright colors, different shaped layers, and ribbons and bows. Wedding cakes are often designed as tier cakes. 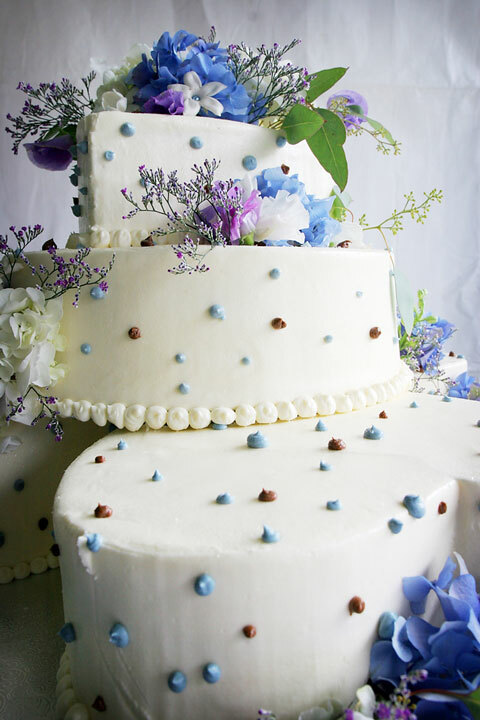 The tiers may be stacked directly on top of each other or divided by separator plates and columns or pillars. 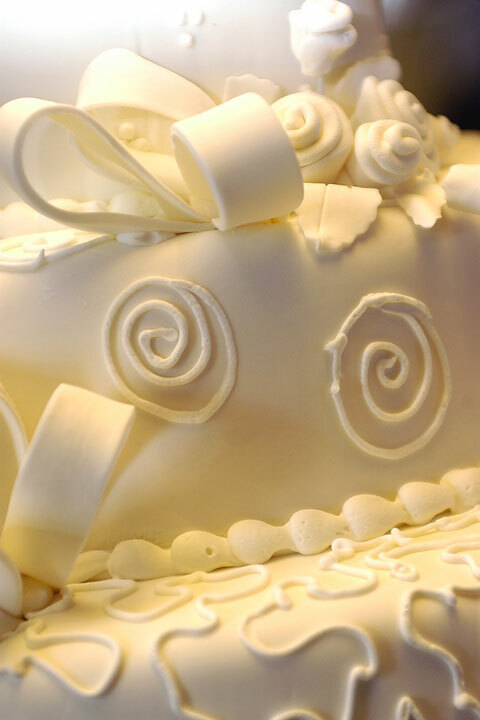 The cakes may be round, oval, square, or diamond shaped. 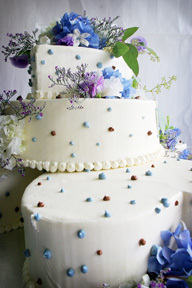 And today, wedding cakes are made in a variety of colors and flavors, rather than all white and vanilla. Brides and grooms choose chocolate, orange, or almond flavors, often with a special filling. Cakes are iced with butter cream or fondant icings, and are sometimes decorated with a topper or flowers. 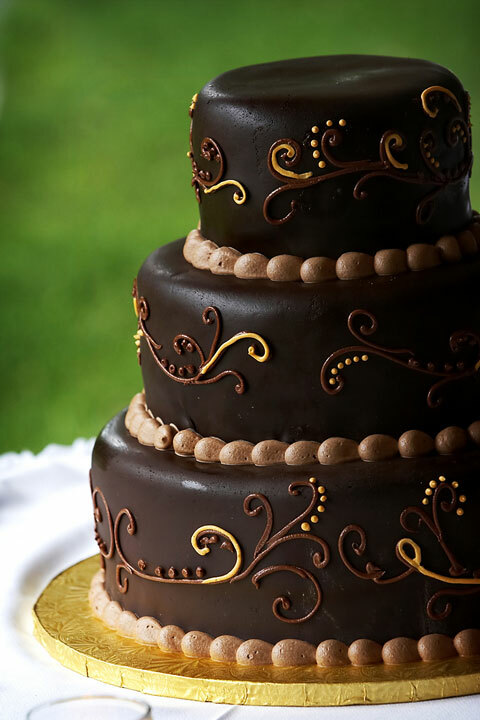 Tier cake with chocolate icing. 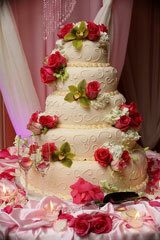 The table surface used for a wedding cake looks best when decorated to fit the reception location and theme. 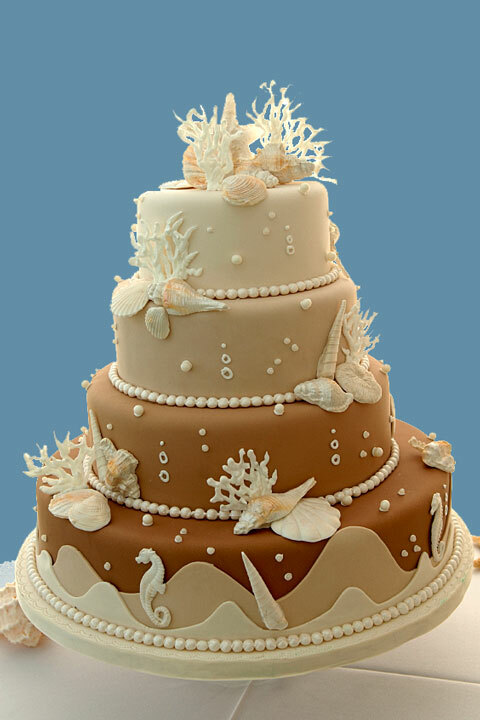 Shells might surround a cake for a beach location wedding, or lace and flowers are perfect decorations for the cake table at a garden wedding.